I am working on a podcast/article about the most influential Tudor women. On social media I’ve thrown the question out there for you all to decide and here is the list of choices – please vote for which woman you believe is the most influential Tudor woman. 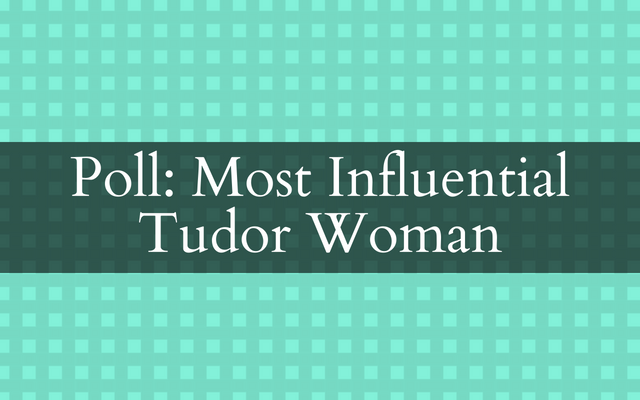 Voting: Which of the following would you vote as the "most influential" Tudor woman? As a long term volunteer at Hardwick I feel that this woman lived through so many difficult times, was so successful in business and founded a great dynasty, landowner, moneylender. Her life was one long achievement.